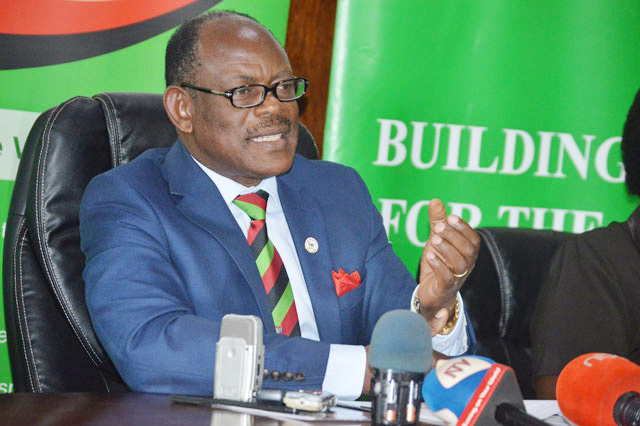 Law Dons from Makerere University School of law said that Prof Barnabas Nawangwe had no right to suspend or dismiss members of staff at the University. These law dons say, only the University appointment committee has the mandate to fire or suspend staff contrary to what Nawangwe did. Prof Mayambala Kakungulu a law don from Makerere University School of law said that they are not going to end the strike, as they had stated earlier at the start of the week. Arguing that suspension and dismissal of their fellow members by Nawangwe, the University VC was illegal. Kakungulu says matters concerning staff are settled by immediate supervisors who then advises the University disciplinary committee on the appointments board, to take action but not Nawangwe. “Government of Uganda delegated its members to Makerere Council. So, from the Lowest employee to the highest employee the VC we are all employees, so it’s cannot be that an employee has powers to discipline a fellow employee.” Another law don explaining. This followed a report filed by a special board meeting that was instituted to legally analyse the situation. Dennis Twahika law student said that the University administration is responsible for the current shut down which is now affecting students directly. Prof Kakungulu later added that; after their issues are resolved compensation will be considered by the university to students for the time lost, to allow them finish their syllabus. The executive is to hold a general assembly on Monday 11 February where Nawangwe’s response will be debated and also decide on the way forward.